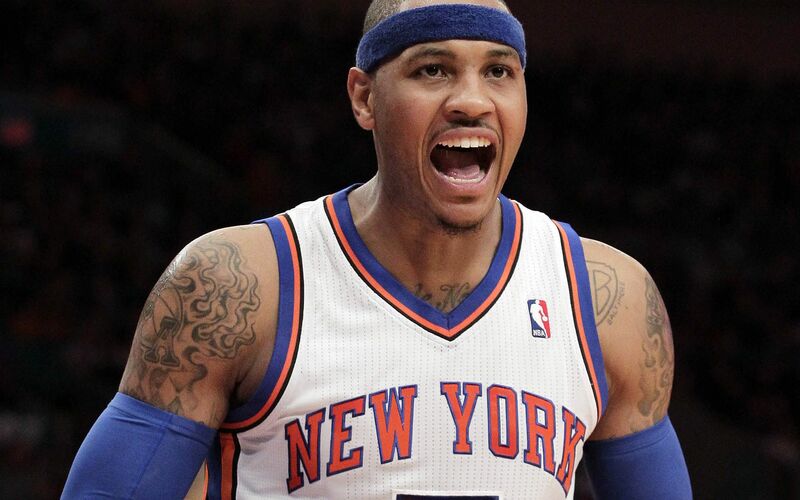 POLL: So Where Is Carmelo Going? We’ve been told that Carmelo Anthony will make his decision by the end of the weekend, which means there’s only one real question left to answer. Where’s he going? I know what I think his ultimate destination will be, but it turns out that I have been wrong on a number of different occasions. I think three times to be exact. But what do you think? Vote below. This entry was posted in Chicago Bulls and tagged Polls by Tom Fornelli. Bookmark the permalink. If I had to guess…I think he’ll stay in NY. I think money is going to influence him more than winning. Unless the knicks can somehow magically get Lebron to sign with them…they aren’t winning anything while Melo is there. Not because of Melo, but I don’t think they’ll have the pieces around him while he’s “in his prime”. Obviously, as a bulls fan, I hope he picks Chicago. If he doesn’t, then I think you make one pitch to Lebron just to see if he will bite (unlikely) and then you dump boozer, focus on Mirotic and see if you can get any other role players to put on the bench. Gasol isn’t the answer.